My partner Paul heard an interview with author Cal Newport on the Art of Charm podcast and immediately got the audio book for Deep Work: Rules for Focused Success in a Distracted World. It's not often that he gets excited about a book let alone reads it before me. Needless to say, my curiosity got the best of me. 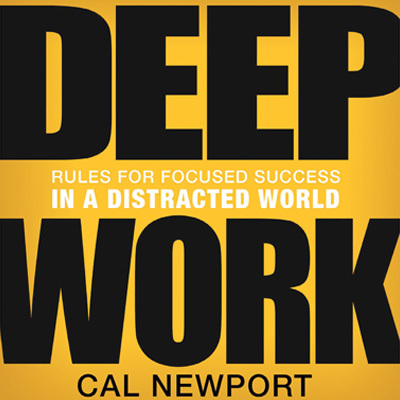 Newport defines deep work as "professional activities performed in a state of distraction free concentration that pushes your cognitive capacities to their limit." He claims that two core abilities for the new economy are the ability to quickly master hard things and to produce work at an elite level. Both of which require deep work. The first section explains why deep work is valuable, rare, and meaningful while the second section focuses on strategies for making it happen. 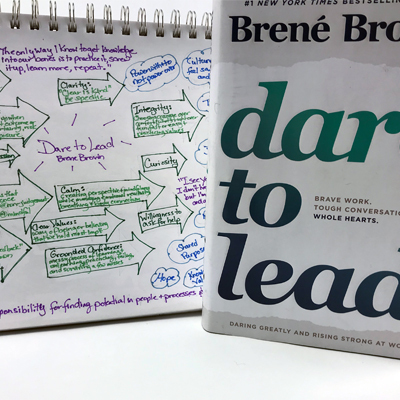 For me, the deep work needed for research, writing, and program development often gets supplanted by day to day planning, business development, and responding to client needs. I’m also the type of person that gets great satisfaction from making a to-do list and having it all crossed off by the end of the day. Quick-action shallow work fits that need very nicely, but then doesn’t leave time for deep work. 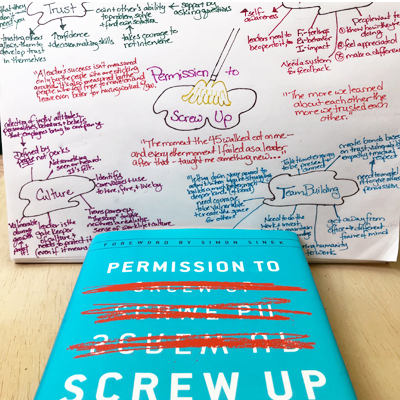 This book reminded me to carve out time for it and gave me strategies to make it happen. 1. Deliberate practice - Newport refers to the research of K. Anders Ericsson on deliberate practice. I had become familiar with his work a few years ago and we naturally embrace it in our method for teaching juggling. We don't give people three juggling balls and say go! Instead we have them work on discrete skills like timing and height that make up the juggling pattern with just one ball. We give individualized feedback on one element at a time so the learner knows where to focus in making corrections. This process repeats as they advance through the skills and add the second and third ball to the pattern. It makes total sense for juggling and other physical skills, but I have only recently internalized it for business related skills. For example, I recently had a call with a potential client. 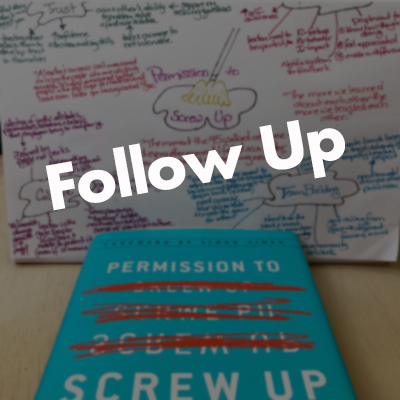 I didn't have a clear idea of the client's needs so I put my focus on practicing the improvisational skill of "yes, and" in order to be open to how we could customize our programs to fit with these unknown needs. Having a concrete skill to practice and then assess gave me confidence that I don't always have on sales calls. As a result, I now practice identifying other discrete skills to practice when starting calls, meetings, and presentations. 2. Rituals - Newport cites the habits of people like Charles Darwin and J.K. Rowling to encourage readers to exercise mindfulness around how, where, and for how long they engage in deep work. I'm a girl that loves routine and appreciates the power of a ritual for getting in the right frame of mind for different types of activities. Prior to writing Grounded for Good, I created a soundtrack for the characters and story. Whenever I struggled with the next scene, I would put my headphones on and go for a walk or clean the house. The songs helped put me back into the mental space of the story and approach it in a fun way. I also have several different physical spaces in the house for different types of work. If I want to do creative or big picture brainstorming, I need to step away from my computer. Some of the rituals I've developed through trial and error, but I've also co-opted from other people (practices I've heard mentioned in conversation or read about). I'll try something new and reflect on whether it worked. I don't hold onto any practices that don't support my goals. To challenge ourselves and better optimize our collaborative deep work, we’ve committed to spending 5-10 minutes partner juggling at the beginning of a work session for the next 30 days. We're testing whether it puts us in a playful and more connected frame of mind. We'll let you know. 3. Downtime & Boredom - Newport emphasizes the importance of downtime and embracing boredom and provides some interesting strategies. He has research to support that downtime aids insights and recharges energy. We have lots of anecdotal evidence to support it as well. We've had people tell us that juggling and playing with skill toys can "clear their mind" of whatever they had been wrestling with and then approach it fresh. Personally, I don't follow his exact steps to "meditate productively," but I often focus on a problem while on a run. During those few miles, I can usually push the idea further and come up with creative solutions. His section on embracing boredom, however, held up a very unflattering mirror - I have become addicted to my phone! As I read his book, I realized I couldn't go ten minutes without checking my phone to see if I had any new notifications. Ugh! Once I noticed this, I set my alarm and didn't let myself look at the phone again until the alarm went off thirty minutes later. I'm now doing that regularly and varying my lengths of time. I also find that as I write blog posts and do other types of deep work that need to happen on my computer, I close the internet window so I don't know when I have a new email. These recent steps have definitely helped my focus and deep work. What practices do you already have in place to help you achieve deep work? What new ideas do you want to try?